Greetings all and welcome to next installment of the Fan Art Watch. This week we show off some more fan art from the D1/D2 gallery and D3 gallery. This time we have 2 pieces from the D3 Gallery. Now let’s begin. 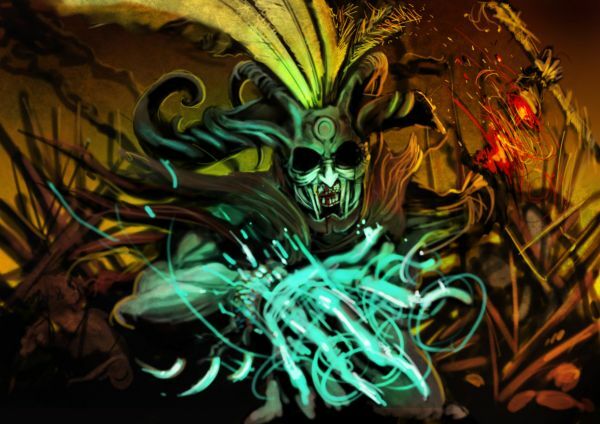 This week we begin with a Witch Doctor encountering some trouble in A Doctor’s Last Stand by Unded. This piece shows some nice details as the doctor is trying to fend demons off and not doing so well in the process. Wrapping things up for the week we have a epic battle with diablo in Final Showdown by Pixelcharlie, with characters based on the 4 current classes for Diablo 3. 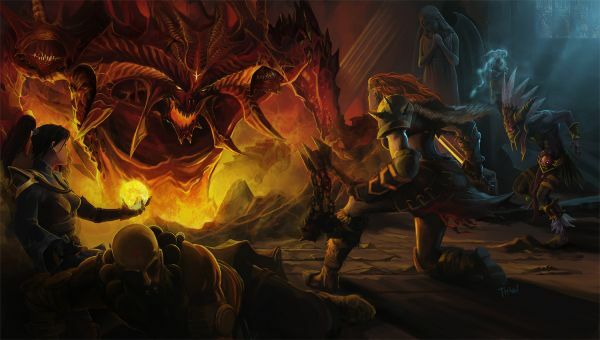 They are fighting against Diablo as he rises from the depths of hell. It will blow you away. Awesome more useless info. I think they are running out of stuff before they actually have reveal something of use to us.